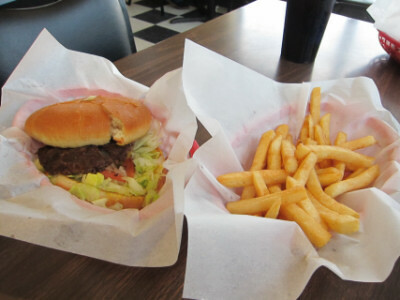 The business card from Rosco’s Burger Inn a few years ago stated that it had been “serving El Paso for over 50 years,” and just about everyone who has lived in the Sun City knows about the burgers here. 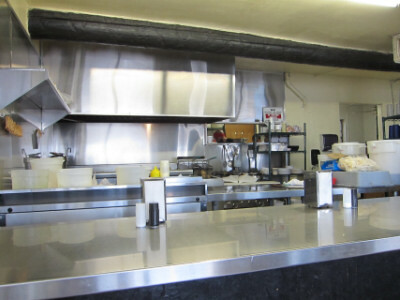 What makes Rosco’s different is the fact that it hasn’t changed since I first started going there (I remember the original owner who I assumed was Roscoe but it appears to have gone through at least a couple of management changes since then). Rosco’s small business card was large enough to list the entire menu: hamburgers, cheeseburgers, hot dogs, grilled cheese, caldillo, chili bowl, meat burritos, fries, and onion rings. 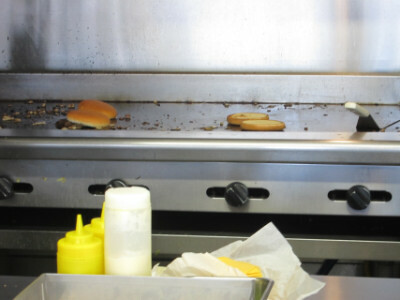 Most or all of these are cooked on a large grill behind the counter, and patrons associate the sound and smell of the burgers cooking with the Rosco’s experience as much as the good taste of the food. 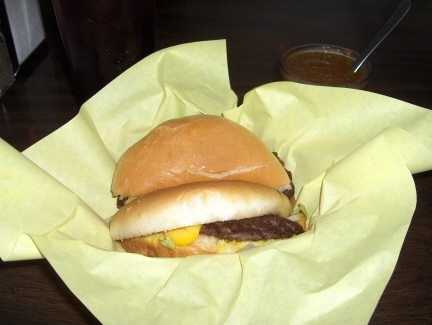 I enjoyed the good flavor of the caldillo on several visits, but the burgers are by far the most popular item. The major decision at Rosco’s seems to be whether you are having a burger with or without cheese. I have mostly ordered the Cheeseburger, with the grilled meat, heated bun, and fresh toppings reminding me of the typical burgers that would have been served close to a half century ago (not that I remember that far back, of course). 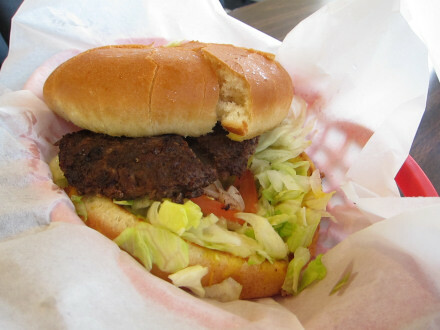 The quality of Rosco’s burgers is something that has been lost at so many other places, especially the franchise hamburger restaurants. The meat has real flavor and everything else is fresh. Probably the buns are the one feature that could use some updating from fifty years ago, but they are good. Burgers come with a choice of a single or double patty, and patrons can choose their own toppings. I recommend getting everything that comes with it (the cheese costs extra but I think it is a good enhancement). Ordering the regular Hamburger, though, offers a somewhat different enjoyment experience. The flavor of the meat is more pronounced than when it is topped with cheese, and I eat so few hamburgers I really want to enjoy the flavor of the good ones (as this one is). It is safe to say, though, that both the hamburger and cheeseburger are good choices. I was disappointed with the Fries on my last visit because the oil seemed to have too much of an aftertaste. I am on the fence about whether to order them again, but there are not many options for side dishes here. Caldillo is one of the three Mexican style dishes here, and is the one I have ordered the most. This used to be one of my favorite caldillos in the city, but my most recent experience was of one with chile that was so spicy I could hardly eat it. I do not enjoy extremely spicy chile as much as in the past, but I can still eat it. 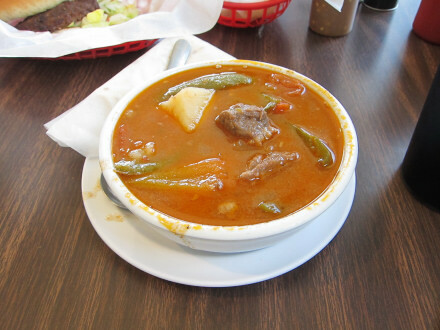 I think the problem with the caldillo is that it is mostly liquid (it is a soup), and I usually use starches to cool down my mouth after eating hot chile. Rosco’s gives you a flour tortilla, and the caldillo contains some potato, but for me this was not enough to make it so that I enjoyed eating something this spicy. Thus the caldillo is a “maybe” for ordering in the future, even though I have really enjoyed it in the past. I have heard comments from others that they like the food but dislike the dining room, and I cannot disagree. The few tables do not accommodate all the patrons at lunch time, and the counter would be considered uncomfortable by many. 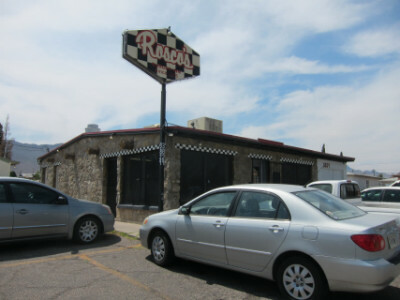 As an El Paso institution, though, people do not go to Rosco’s for the atmosphere. Actually I could argue that many people do like the atmosphere that is so familiar, everyone is treated as if they are a guest at a home cooked dinner, and you can see and smell the food cooking on the grill. I do not know of any place in town that has burgers that I consider more enjoyable. This entry was posted in El Paso, TX by Steve. Bookmark the permalink.